Having a video conversion tool in our computer is important to serve any entertainment purposes. 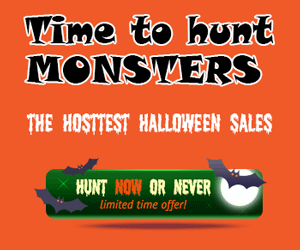 However, choosing the right one out of numerous options on the internet is a real issue for everyone. For that reason, I would like to bring you a detailed review for one interesting software program that allows us to do more than just video conversion – Wondershare Video Converter Ultimate. Wondershare Video Converter Ultimate is a one-stop video solution for all who love watching videos on different platforms. This software tool can effortlessly convert, edit, download and burn your videos. Moreover, it also packages everything in an uncomplicated, flexible, and original interface. Note: A lifetime license for Wondershare Video Converter Ultimate costs $49.95. But you can buy Wondershare Video Converter with 60% discount from Wondershare discount page or download free trial above (The trial version is functionally the same as the paid version except there is a watermark in the new output files.). Video Converter Ultimate from Wondershare is compatible with almost all types of video formats, and it allows users to convert a video file to virtually any other formats, including: standard video formats, HD videos, online videos, audio formats, and various formats which are compatible with game console, tablets, TV, and Apple devices. 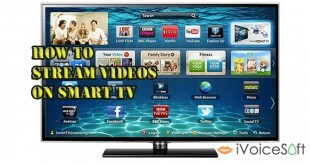 Video: TIVO, AVI, MP4, MPG, MPEG, NUT, H.264, NSV, VOB, MOV, FLV, MKV, MTS/M2TS/TS/TP/TRP(AVCHD, H.264, VC-1, MPEG-2 HD), MOD, TOD, DV, WMV, ASF, 3GP, 3G2, DRM MP4, RM, RMVB, WTV, OGV, MXF, VRO, etc. One of the best features of this program is its ability to convert video files with ultrafast speed, for true theater entertainment at home. With a single click on convert button, you can receive the new file(s) in just a blink of the eyes. >> Read Wondershare Filmora review to learn how to edit a video like as pro with simple click. Get bored of the tiny screen of your computer? Don’t worry because Wondershare Video Converter Ultimate can let you stream videos from PC to your large TV at ease! This ability is one of the strongest feature that none of video converters out there can compete with Wondershare. Especially, you don’t need to own an external hard drive or a USB cable, you can easily stream videos on PC to a smart TV directly or to a standard TV via media streamer like Chromecase (Roku, Apple TV, Xbox 360 or PS3). 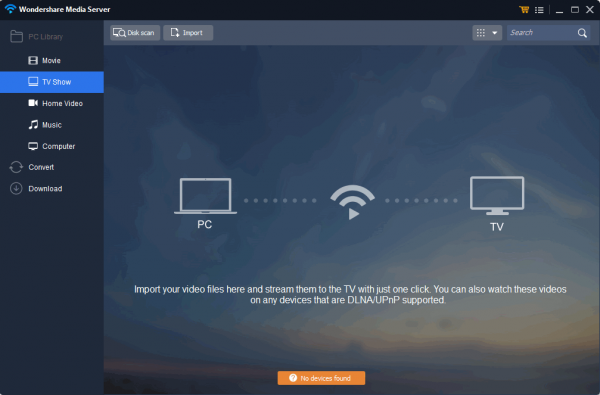 As long as your PC and smart TV or media streamer are connected to the same network, Video Converter Ultimate’s Media Server plugin will work for you. 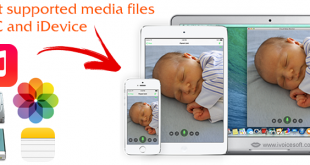 All video and audio formats are supported. When you play a video in any major browser, a smart Download button will automatically appear. With just a click, you can enjoy the video anytime – without an internet connection. Or convert it to watch on your TV, smartphone, or another device. In addition, you are able to download YouTube MP3 directly and YouTube playlists in batches with high speed. YouTube subtitle download is also available. Have you heard of any video converter capable of download videos played on any browser before? Yes, you read this right, because Wondershare Video Converter Ultimate can completely own the show by offering users 2 options for downloading videos: copy the URLs and download them on the program, or record the video from a smart toolbar which appear on the video itself. For a video conversion tool, I have to say that Wondershare Video Coverter Ultimate successfully gave me a great impression on its generous features and functioning ability. It does an exceptionally good job at converting video at pretty fast speed and high quality. At the same time, it provides us other handy video-processing tools, such as basic editor, video downloader, video burner, and TV streamer. Unfortunately, this program is not available for free, but I feel it’s totally worth every penny. For those who have to deal with videos and in high demand for different video formats, for example, used for business and entertainment purposes, I highly recommend you to give Wondershare Video Converter Ultimate a try.